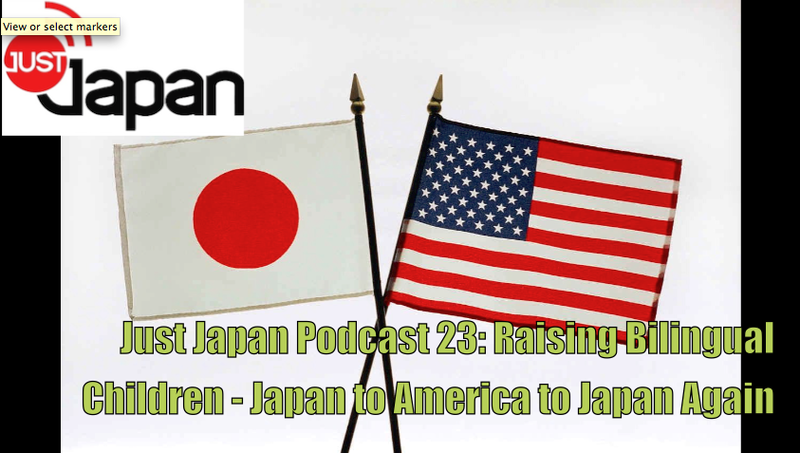 In Episode 23 of the Just Japan Podcast, host Kevin O’Shea talks to Jonathan, an American living and working in Japan. He and his wife are raising their two children to be bilingual. They have lived in Japan, then America and are now back in Japan. Listen to the challenges faced by parents raising and educating their children to speak more than one language. LISTEN to the podcast on Stitcher Internet Radio. Use your web browser to listen to the episode. Hey Kevin. I’m (trying to) raising my 2 kids to be bilingual. They are 7 and 4 years old. Girl and boy. I’m originally from Brazil and my wife is japanese. We were in Australia for 10 years, where both of my kids were born. When the girl was 3 and the little boy was 6 months, we moved to Brazil where we spent 2 years before coming to Japan. Now we are here for almost 3 years. The initial plan was that I only speak to them in Portuguese, my wife in Japanese and when we are all together my wife ask me something in Japanese and I would answer it in Portuguese for example. I would read books in Portuguese before bed time. My wife would do the same but in Japanese, during the day. We try hard to follow the plan. But it can be very frustrating sometimes. Despite the fact that we set all these rules and strategies to get them to speak both language equality, we are having a hard time to achieve that result. We as parents expect a lot from our kids. In my opinion we have to let them decide in which language they want to communicate. Maybe it will be easier for them to learn Portuguese once they get older. Let’s see.